What Second Hand Omega should I buy? Few watch brands have achieved as much as Omega. They have been into space, timed big sports events, used in military missions, dressed presidents and used by secret agents! There is an Omega for every occasion from space to the depths of the ocean via the boardroom and formal evening wear. The Seamaster range can be traced back to the second world war. The original Seamaster was picked up and used by members of the Special Boat Service. The Seamaster 300 and Seamaster Planet Ocean have been used by, arguably, the most famous agent of all, James Bond. The history of the Omega Speedmaster is just as impressive as the Seamaster. It had the same bullet-proof base as the Seamaster, with the addition of a chronograph. The fame of the Speedmaster is its association with the Space missions of the later half of the 20th century. In 1962 NASA astronauts collected together a range of watches from the leading manufacturers of the day including Rolex and Breitling. These watches were subject to grueling testing by the engineers at NASA. 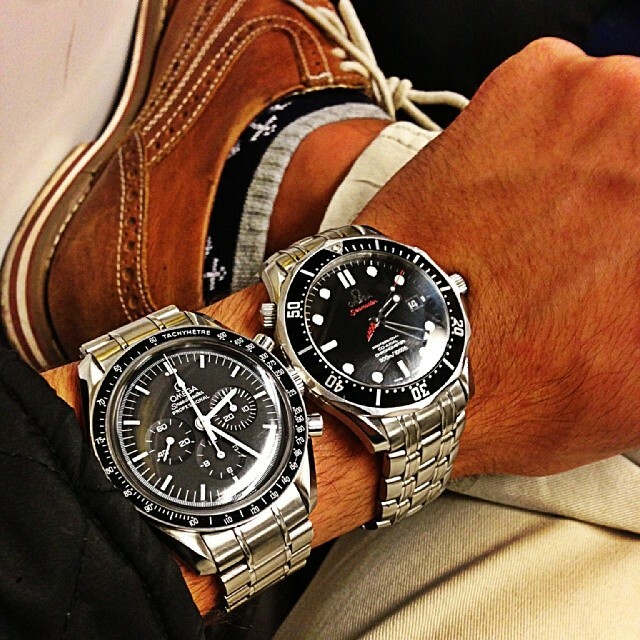 The Omega Speedmaster won out by some margin. Although Omega is more immediately associated with moon landings and special missions and adventurous pursuits, it has mad fine dress watches since the early part of the 20th century. President Kennedy himself used to wear an ultra-thin dress watch from the 60's. Latterly Omega still produces watches for the more formal occasions such as the Globemaster and De Ville ranges. The distinctive Constellation, an iconic watch of the eighties, is another family of watches for those special occasions.